Colilert-18/ Quanti-Tray becomes the new International Organization for Standardization ( ISO ) worldwide standard for detecting total coliforms and E. coli in water. Colilert-18/ Quanti-Tray can e applied to all types of water including those contaiing an appreciable amount of suspended matter and high background counts of heterotrophic bacteria. 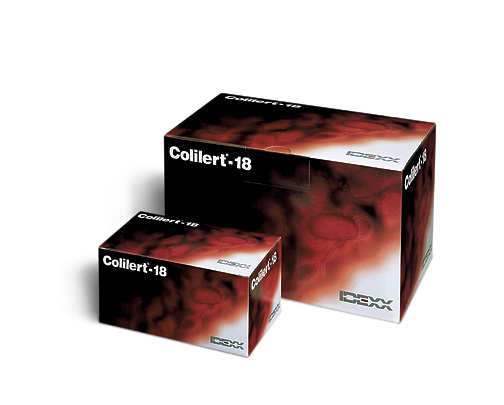 Colilert-18/ Quanti-Tray is the first ISO standard to use the new ISO definition of coliforms/ E. coli: expression of β-galactosidase and β-glucuronidase. This method is based on the growth of target organisms in a liquid medium and the calculation of the “Most Probable Number” ( MPN ) of organisms.